We have been delivering marketing strategy and programs to companies of all sizes for over twenty years and we would like to share our expertise, our perspective, and teach new skills to those wanting to learn. 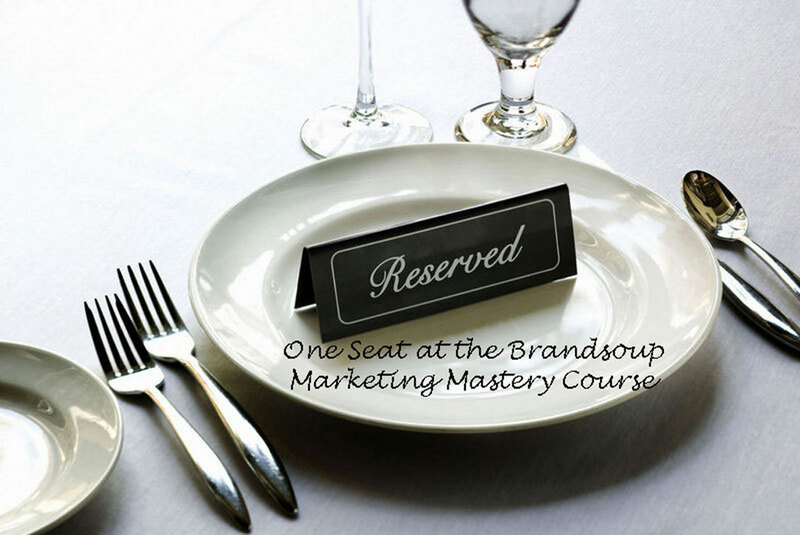 It is our honor to offer you our brand new Brandsoup Marketing Mastery Courses. We are dedicated to offering you educational content in a fun, interactive way. Be prepared to roll up your sleeves and do some exercises. Regardless of your individual learning style, being able to practice a skill is one of the best ways to ensure it stays in your arsenal. So, we will teach you some new concepts and then ask you to practice them by developing your own plans and programs. We will ask you to share those plans. Some of the best plans just might be shared with real world companies that will be part of our exercises. Course 1: Introduction to Marketing – What is marketing and what’s its role in business? Course 2: Marketing Fundamentals – Learn the 7 P’s – Positioning, Place, Price, Product, Promotion, People, Process, and Physical environment. Course 3: Marketing Strategy is the heart of business. Learn how it works, from developing strategy to white board technique tips. Course 4: Research – getting to know your market and customers, as well as discerning what really matters. Course 5: Go to Market Strategy for the Channel: how it works and how to develop your plan. Course 6: Go to Market Strategy for the Consumer. Look at real world scenarios. Learn how it works and how to develop your plan. Course 7: Advertising today and how it has changed. Learn the Omni channel options available in today’s fast-paced information world. Learn the value of each and what to look for when developing your own advertising plan. We have many more planned as well. We hope you will join us on this educational journey, which will help your career and your company. And we hope you’ll be inspired as well! We enjoy showing you that there is always a way around, over, or through any challenge to achieve your success. Join us!